Here we go again. I was doing sooooo good with the whole blogging thing. Then life, err laziness set in. Instead of blogging I would play on facebook, pinterest or tiger woods golf, or catch up on some much needed lifetime movies. Before I knew it, the whole summer had gone by without a single post. I was baking away—working like crazy and did not show anything. Then the “I have not been blogging” guilt sets in—you know, like when you skip the gym. In no time it was time for school to start back and man, oh man have I been busy. I have have been sort of reinventing myself this year with school (after the crappy year last year, it is needed!! )—new year, new class, so gonna do some new things. Well, all of these things take a ton of time—even with all of the teachers pay teachers help! I finally feel like things are settling in and decided to pick up where I left off. Bout damn time. 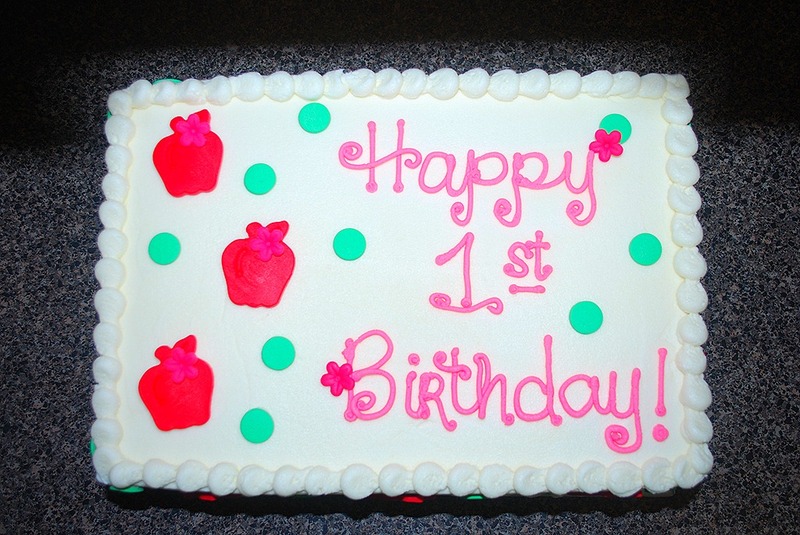 This was a sweet little cake for a 1st birthday. 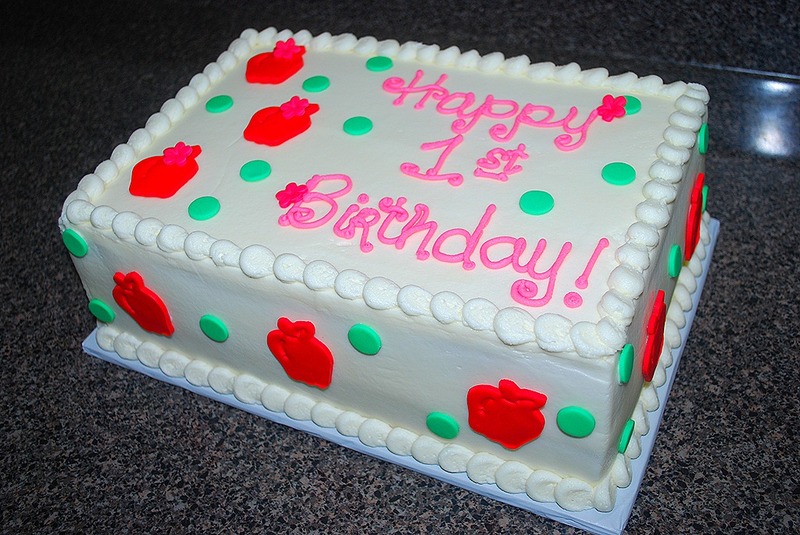 The mom sent me the invite, said she wanted white cake and that was it. I was so happy with how this came out. I was working on this until the wee early hours this morning. Ya never know what is gonna happen when it is 3am and you are tired and working on a cake. It took me a while to get my vision, but it finally came to me. Then I just had to put it all together. 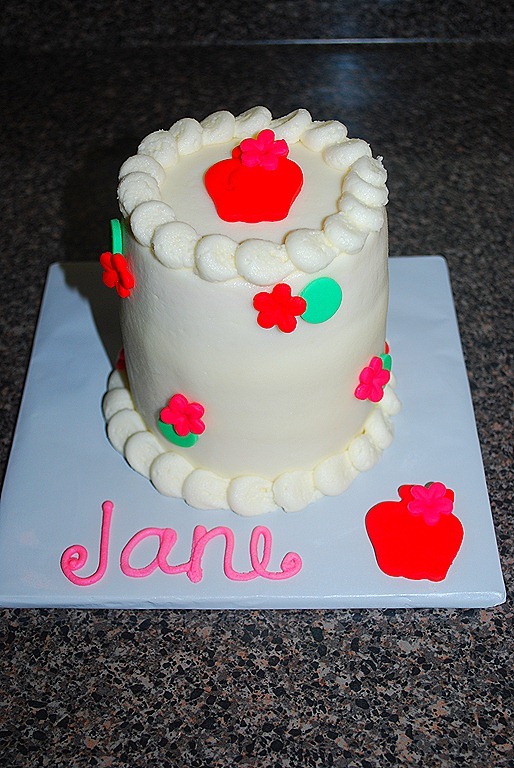 I used an apple plunger cutter for the apples and a little blossom plunger cutter for the flowers. The invite had pink red and green, so that was the color scheme I used too. 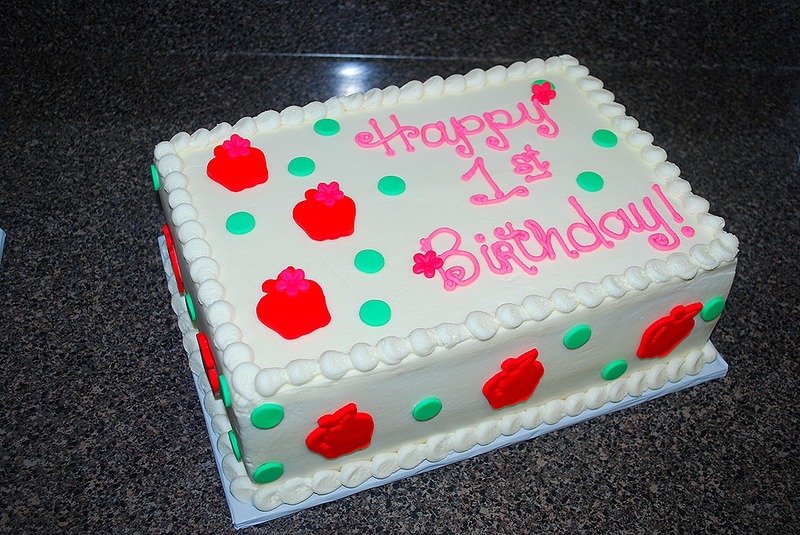 I do a 4in smash cake for free with the order of 1st birthday cakes. It is the perfect size for a baby. 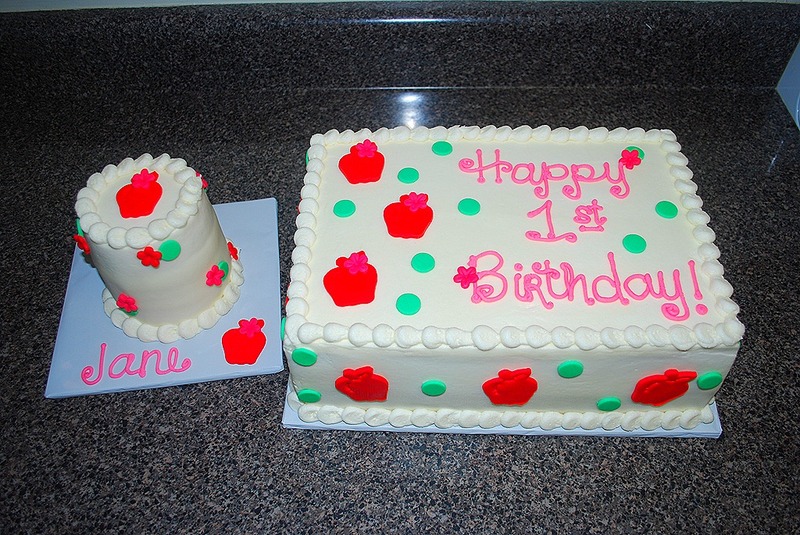 I cannot stand when folks do a 6 or 8 inch cake to smash—it is just too much. She sent me a pic of the smashed cake—she smashed it like a pro. 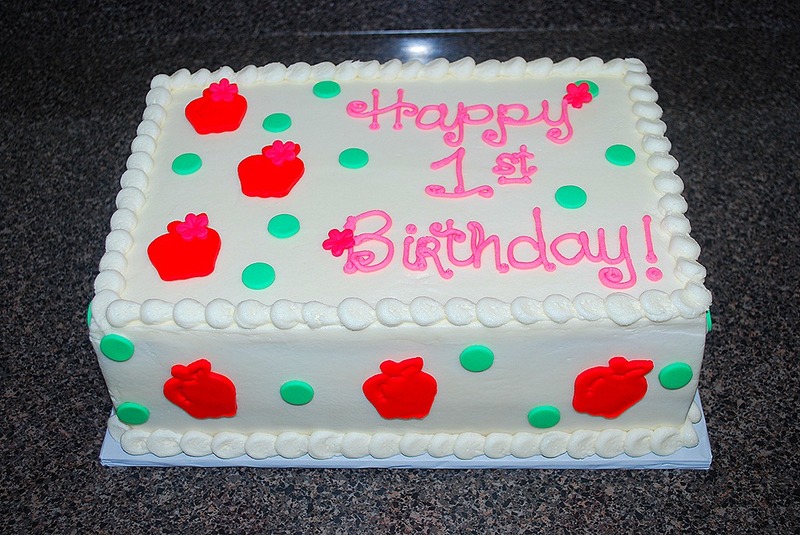 I always love to hear that the cake was a hit. I love it, but never know what they will think about it. Super nice to get that feedback. Loved this theme for a baby fall birthday. Loved the cake. Love that I am blogging again. Enjoy!